Lock in a great price for BEST WESTERN Bohemian Resort Hotel – rated 8.3 by recent guests! Located lakefront. Free up grade to duplex meant for family. Close to monastery. Great place with a good view of the lake and helpful staff. We stayed in the suite, my parents, my wife and I. Very nice and comfortable unit 2 private balconies, two bedrooms One with TV on the second floor. First floor have a nice living room with the bigger TV and the sofa. Nice bathroom with the private shower cabin . The place was nice and clean . It was a little bit up after the winter storms, but the stuff was working full steam, trying to clean up the place & make it ready for the season. The location was perfect for the lake view. They upgrade our standard room to two rooms with balcony. The food in the restaurant is also good. big room, good environment , nice breakfast, kind stuff, and so nice view of the Lake Sevan. BEST WESTERN Bohemian Resort Hotel This rating is a reflection of how the property compares to the industry standard when it comes to price, facilities and services available. It's based on a self-evaluation by the property. Use this rating to help choose your stay! 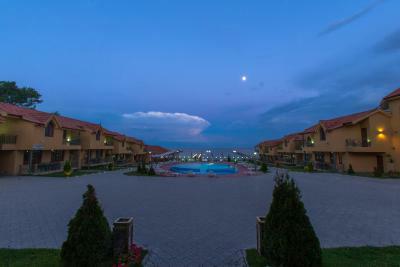 Located on the Sevan Lake beach, this resort hotel is 40 minutes’ drive from Yerevan. 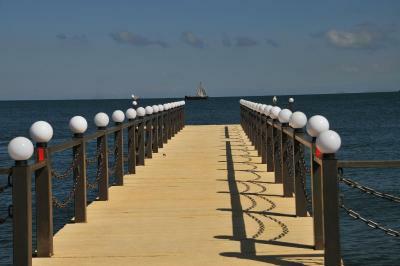 Guests are offered free Wi-Fi, an outdoor swimming pool and a sun terrace. All the rooms and cottages at Best Western Bohemian Resort Hotel feature classic-style décor, a flat-screen TV and a fridge. Bathrooms come with a shower. The Bohemian’s restaurant, with large windows overlooking the lake, serves Armenian and European cuisine. Refreshing cocktails and drinks are offered at the pool side bar. Guests of the hotel can relax on the sun terrace or take a dip into the swimming pool. Billiards, table tennis and darts facilities can also be found on site. The 9th-century Sevanavank Monastery is 4 minutes’ drive from Best Western Bohemian Resort Hotel, and the M4 Motorway is 1 minute’s drive away, providing a direct link to Yerevan. Zvartnots Airport is 48 mi away. 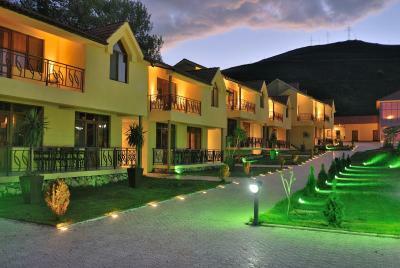 When would you like to stay at BEST WESTERN Bohemian Resort Hotel? 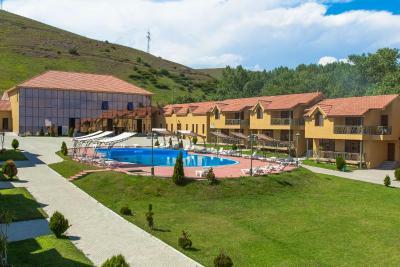 BEST WESTERN BOHEMIAN RESORT is a beautifully constructed resort. Once entering the hotel will change the reality around you. The amazing view will help you relax and enjoy your stay. The resort has availability of Single, Double and family accommodations. House Rules BEST WESTERN Bohemian Resort Hotel takes special requests – add in the next step! BEST WESTERN Bohemian Resort Hotel accepts these cards and reserves the right to temporarily hold an amount prior to arrival. Very, very, very far from western standards. - Room was dirty. Hairs and nail pieces on the bed. - Ridiculous breakfast. Poor and low quality food. The milk was expired and the staff was having breakfast with guests. Generally speaking, there's no reason to suggest this hotel to anybody. And trust me, I'm afraid to say that. Location is just on the highway, only few staff speaks English, there was a music video filming in the hotel and it was noisy with horrible sound on the 1st day, room is not decorated with picture or flower or anything, there is not even bed lamp in the bed room, nothing. Breakfast is at horrible place in the building, with minimum choice of food. Everything was bad. Location of the hotel is very bad, you need a car for anywhere to go. All was fine! Breakfast could be more "Armenian" style not the plastic one. Swimming pool at complex was under renovation. After my check-in there was nobody on the reception for an hour or two (exactly when I realised, that I don't have the wifi password). The password was not anywhere in the room, I found it accidentially at the open air bar (which was not working at this time of the year). There is no other way to access the Sevan peninsula except for walking on the side of the highway for some distance. Business level room at normal price. Good Wi-Fi speed. Nice breakfast. Wonderful view from the quay. We didn't like clear information about not included breakfast and waiting for it.